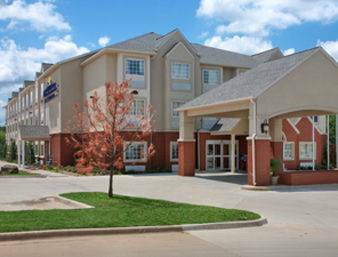 This Microtel Inn and Suites by Wyndham Stillwater is close to Boone Pickens Stadium and Oklahoma State University, as well as outdoor recreation at Boomer Lake, movie theaters and restaurants. Enjoy complimentary wireless Internet access and complimentary continental breakfast, swim in the sparkling outdoor pool, work out in the fitness center and cook out on the outdoor grill. This hotel also offers guest laundry services, an onsite convenience market, ample large-vehicle parking and a business center with meeting rooms and computer access. Spacious, modern guest rooms feature flat-screen TV and coffee/tea maker, and select rooms feature microwave and refrigerator. His name was Elmer McCurdy, a failed outlaw, and his corpse had more adventures than he ever did.